SANFORD, Fla. (AP) — A routine bail hearing for George Zimmerman took a surprising turn into remorse and explanation Friday when the neighborhood watch volunteer got on the witness stand and told Trayvon Martin's parents: "I am sorry for the loss of your son." "I did not know how old he was. I thought he was a little bit younger than I am. I did not know if he was armed or not," Zimmerman said, marking the first time he has spoken publicly about the Feb. 26 shooting of the unarmed black 17-year-old. The hearing wrapped up with a judge ruling Zimmerman can be released from jail on $150,000 bail while he awaits trial on second-degree murder charges. Zimmerman, who has been in jail for more than a week, could be out within days and may be allowed to live outside Florida for his own safety once arrangements are made to monitor him electronically. Defendants often testify about their financial assets at bail hearings, but it is highly unusual for them to address the charges, and rarer still to apologize. An attorney for Martin's parents, who were in the courtroom when Zimmerman spoke, spurned the apology. 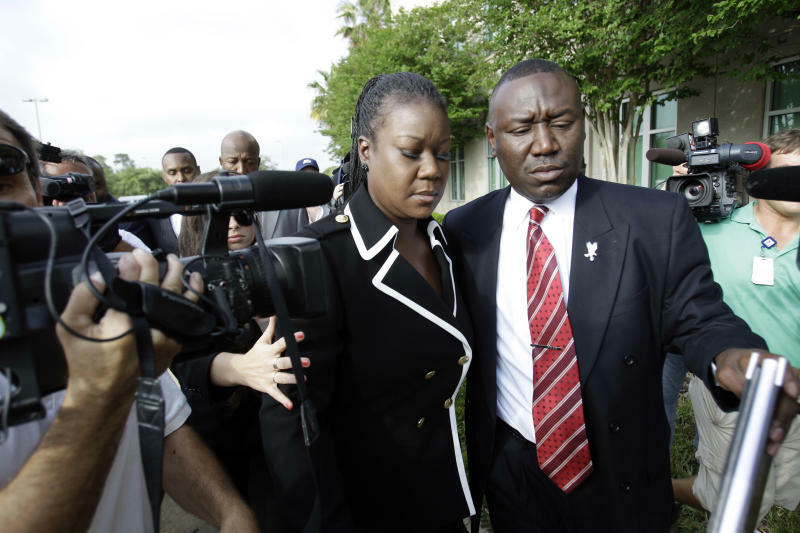 The parents, Tracy Martin and Sybrina Fulton, had no comment as they left. "This was the most disingenuous and unfair thing I've seen," said attorney Natalie Jackson. "This was the most unmeaningful apology." In a measure of how volatile the case has become, Zimmerman appeared to be wearing a bulletproof vest under his suit and tie, and his parents and wife testified via telephone because of fears for their safety. After the hearing, Zimmerman's lawyer, Mark O'Mara, acknowledged that putting Zimmerman on the stand was risky but said his client wanted to respond after Martin's mother said in an interview that she would like to hear from him. "He had always wanted to acknowledge what happened that day," O'Mara said. "I was hoping that it could be accomplished in a private way. We weren't afforded that opportunity." Stacey Honowitz, a Florida prosecutor with no connection to the case, said: "I think it was to sway public opinion. He's not incriminating himself. He is setting up his self-defense claim." In agreeing to let Zimmerman out on bail, Circuit Judge Kenneth Lester said he cannot have any guns and must observe a 7 p.m.-to-6 a.m. curfew. Zimmerman also surrendered his passport. 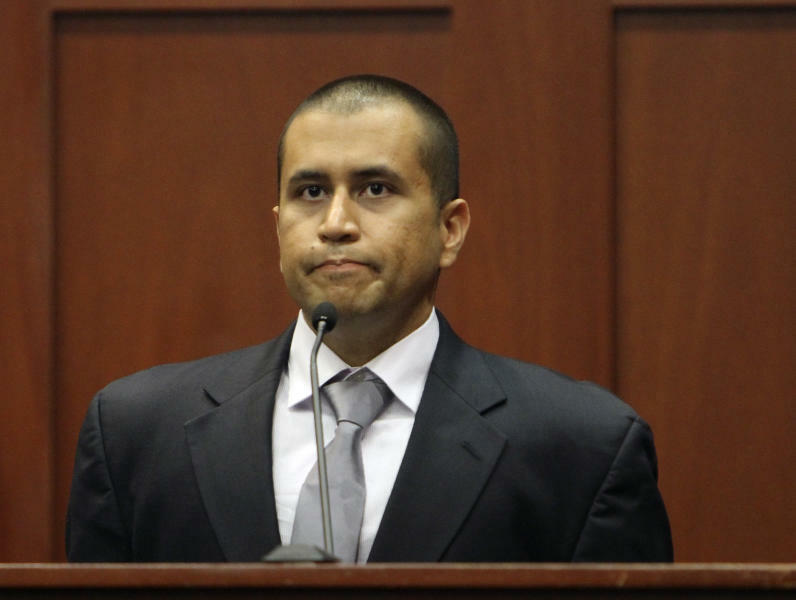 Zimmerman will need to put up 10 percent, or $15,000, to make bail. O'Mara said he expects the family to come up with the amount. Zimmerman's father has indicated he may take out a second mortgage. Zimmerman worked at a mortgage risk-management company at the time of the shooting and his wife is in nursing school. A website was set up to collect donations for Zimmerman's defense fund. It is unclear how much it has raised. The hearing provided a few glimpses of the strengths — and weaknesses — in the case being built by prosecutors. Dale Gilbreath, an investigator for the prosecution, testified that he does not know whether Martin or Zimmerman threw the first punch and that there is no evidence to disprove Zimmerman's contention he was walking back to his vehicle when confronted by Martin. But Gilbreath also said Zimmerman's claim that Martin was slamming his head against the sidewalk just before he shot the teenager was "not consistent with the evidence we found." He gave no details. In taking the stand, Zimmerman opened himself up to questions from a prosecutor, who grilled him on whether he made an apology to police on the night of the shooting, and why he waited so long to express remorse to Martin's parents. Zimmerman said he told police he felt sorry for the parents. He also said he didn't say anything to them sooner because his former attorneys told him not to. As part of the bail hearing, Zimmerman's family testified that he wouldn't flee if released and would be no threat to the community. "He is absolutely not a violent person," said his wife, Shellie Zimmerman. Zimmerman's father, Robert Zimmerman, said that even when confronted, his son was likely to "turn the other cheek." The father also described his son's injuries the morning after Martin was shot, saying he had a cut and swollen lip, a protective cover over his nose and gashes on the back of his head. Zimmerman's mother, Gladys, said her son worked with two black children as part of a mentoring program that required him to venture into a dangerous neighborhood. "He said, 'Mom, if I don't go, they don't have nobody,'" she recalled.